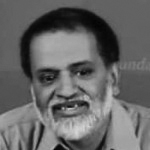 Barun is the founder and director of the Liberty Institute, www.InDefenceofLiberty.org, a nonprofit, independent public policy research and advocacy organisation, based in New Delhi, India. Liberty Institute is dedicated to enhancing individual freedom in economic and political domains. Among the recognition the Institute has received was the Templeton Award for social entrepreneurship in 2003. Barun Mitra also received the 2005 Julian L. Simon Award for his contribution in environmental policy debates from the Competitive Enterprise Institute.